The plans for a new supermarket on the site on industrial land between Hillhouse Road and Argyle Crescent, Hamilton which is rumoured to be taken over by Tesco have been revised. The application to South Lanarkshire Council, made by Macdonald Estates, has recently been amended with the revision to proposals for a ‘food superstore’ once more land had become available surrounding the site. The proposal was approved in principle back in June 2011 when the local authority is hoping that the planned expansion would be the start of an improvement and redevelopment of the rundown shops and takeaways on the land. The developer confirmed at that point that the supermarket is most likely to be taken over by one of the ‘big four’ chains – Tesco, ASDA, Sainsbury’s or Morrisons. The proposal includes a food store and adjacent petrol station with carwash, a car park fo 311 cars plus improvements to the current shopping parade providing six new small retail units, and is likely to create over 150 new job vacancies. Locals can comment on the current proposals until 2nd December 2011 and a decision is expected in January 2012. 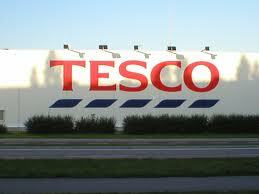 View more Tesco jobs and store openings?